Please contact the office if you would like to come. The course will be closed from Tuesday to rebuild for the British Eventing Event in May. This entry was posted in Riding Club on March 31, 2014 by Pippa Starkey. To all eventing enthusiasts, we present to you the first of the Solihull Riding Club Virtual Course Walks to be released before each event on our Youtube Channel. We thought this would be a good idea to help those of you who can’t walk the course the day or night before, saves coming over to us or rushing around for the busier of you all! Of course we do recommend walking it if you have time or if there are any elements you need to look at further. This may also help those of you who are coming into the world of eventing and want to see what the courses are like at SRC. We will be doing this for every possible affiliated and unaffiliated one day event moving forward as something special to Solihull Riding Club for competitors. Good luck to all competing on Sunday, we’d love to hear what you invest your prize money and SRC vouchers on! This entry was posted in Riding Club on March 28, 2014 by Pippa Starkey. To all members, the boundary ride is now closed until after the One Day Event on Sunday 30th March 2014. This entry was posted in Riding Club on March 25, 2014 by Pippa Starkey. Please note that all bookings for any of the arena hired out of office hours must be paid for at the time of booking either in person in the office or by card over the phone. This entry was posted in Riding Club on March 20, 2014 by Pippa Starkey. – Protected take off and landing between some fences. Do let the office know in advance that you intend to use the hire field, this is to ensure times in the field are not overcrowded. Please wear correct clothing including body protector and medical armband. Utmost care is taken to keep the grounds in good shape for you to enjoy, however some parts of the ground may still be saturated and we respectfully request that these areas are avoided when possible. Enjoy your cross country training and see you at one of our One Day Events! 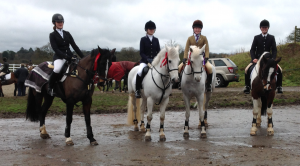 This entry was posted in Riding Club on March 11, 2014 by Pippa Starkey. Congratulations to SRC Area 5 Showjumping Novice Juniors team for winning their class this weekend at the Area 5 Showjumping competition held at Solihull Riding Club and qualifying for the championships at Hartpury College. 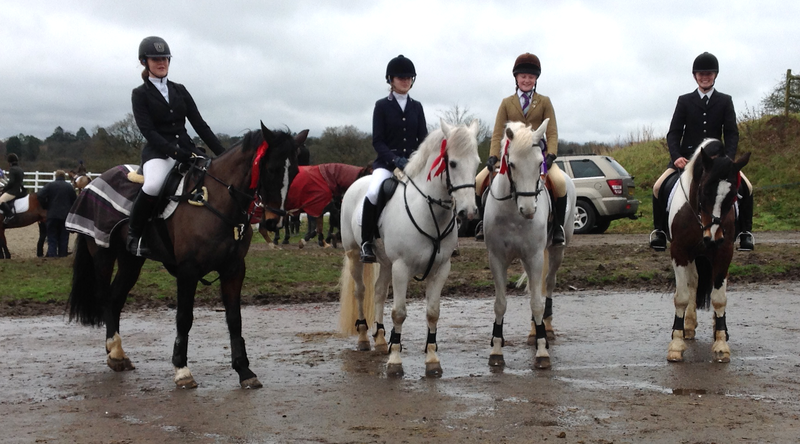 Well done to Milly, Tori, Chloe and Sophie for their win! For those interested in joining the club as a member do contact the office. This entry was posted in Riding Club on March 2, 2014 by Pippa Starkey.